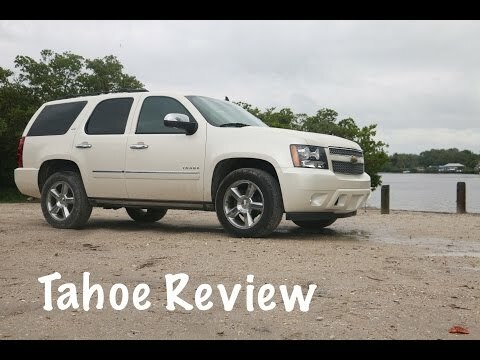 If you have a number of children, tow a boat or horse trailer and like the feel of a substantial V8-powered vehicle, the 2011 Chevrolet Tahoe could be just the ticket. Another plus: The Tahoe's powerful V8 engines offer Active Fuel Management technology and are E85-ready. My Tahoe is a silver 2 wheel drive with over 160k miles on it but it is great. I like that the Tahoe is big enough for 8 people and it is great for long distance driving. The reliability is good because it is made by Chevy but just like any other thing, sensors fail and maintenance has to be done. This is not something that could be a big problem since the parts are not too expensive. I do not like the leather seats because when it is hot, they're hot and when it is cold, the seats are too cold. It is a 2011 so it does not have all the features that cars have these days but I love my Tahoe. It is a great vehicle in the city and over the road. My Chevy Tahoe has been very reliable since I bought it a little over a year ago. The only problem I have had is that my brakes still squeak even after I changed my brakes and cylinders, I haven't had a chance to get them checked out to see why that is, but the brakes work just fine other than the squeaking. The only other work I have had done on it is just regular maintenance. It is been a fine machine for me I would highly recommend this vehicle. Great vehicle just issues from dealership not taking care of it. . .
My vehicle has been a problem since I have gotten it from a used car lot. It has had to have many things replaced. I believe it is not due to the vehicle itself but it is due to the upkeep of vehicle when I drove it off the lot. . I love my vehicle other than that. It is very spacious and looks great. I have six children and they all fit in vehicle and this is the reason for the buy of the vehicle.